The verdict is in: all millenials love Tom Hanks. obviously. Pre-Cana day last week was...a rollercoaster. The grand majority of it was stuff that Michael and I already knew/have discussed (his mom literally teaches the class on relationships at a Catholic High School and ya know...he's going to school for counseling. Plus we've been together and have lived together for so long) but we had some fun and enjoyed spending time together and getting to talk all day. And there was a really sweet surprise at the end that I won't describe in case for some reason anyone who will get married and go to this Pre-Cana day is reading this and I don't want to spoil it (but I will say that we also got letters from loved ones, which was nice). I had another photo shoot this week (with Craig Craver Photography)-this one was for some church stock photos which was sort of neat. I also got to spend some time with my brother (one of the inmates at the jail where he works wrote him an epic rap song) and Michael's brother and sister and mom. And-I found a new car! I decided to lease because I am TIRED of paying to fix cars. 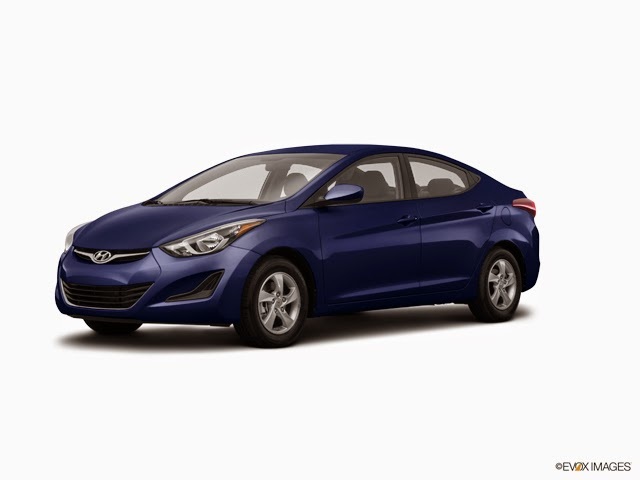 And, after driving around all day Thursday to find the best deal at different car dealerships, I settled on the Hyundai Elantra SE! I officially did all the paperwork, etc. yesterday and on Monday I get the car itself (the color I wanted needed to be ordered and I'm too busy to pick it up today-and they're closed on Sundays). Yippee! Once Upon a Time-Hmmm Maleficent was going to have a baby? I wonder what happened, exactly? (Also-who was the father??) And this episode made me miss August, lil' Pinocchio is great and all but...ya know. Jane the Virgin-*sob* Jane you're soooo stupid! You should've told Raphael yeeeeesss! And not be so hung up on stupid Michael. The Originals-Dang it stupid evil witch taking back her body. Just when Rebekah and Marcel were getting flirty. I'm unsure of Freya's actual plan-if she's being truthful or manipulative. And, finally...I wonder if Haley and Elijah are actually moved on from each other? If so...I guess that's ok.
Hindsight-OMG WHAT a cliffhanger! There had better be a season 2 because what the heck is happening???! The Vampire Diaries-Hmmm humanity-less Caroline is interesting. Obviously bad but still....interesting. And now we have like a vampire Bonnie & Clyde situation. Reign-So...marriage means nothing then, hm? The only thing that made me remotely happy this episode was Greer and Leith.